While she was the queen of the Nile, Cleopatra made a name for herself not only in history but in the world of beauty as well; mainly due to her vast beauty regimens. From super soft skin to luscious locks, her beauty secrets have made their way into our own beauty routines. The wonderful thing about Cleopatra’s beauty secrets is they are surprisingly simple and yet they are quite effective. 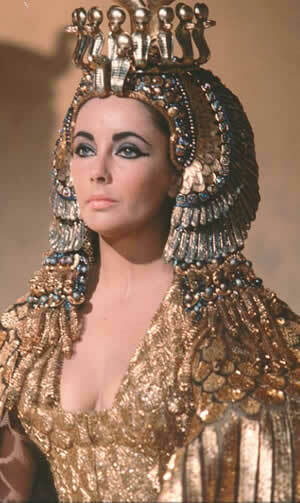 In a three part series, we'll cover my top three favorite beauty secrets from the Egyptian goddess. Cleopatra was considered to have amazing skin and it was largely credited to her facial masks that included either milk, honey, or mud. And we all have heard the stories of the queen bathing in milk to get smooth, glowing skin. The queen must have seen the amazing results and quickly realized the benefits of milk. Milk has amino acids which are great in helping the skin stay moisturized. In the hot sunny climate of Egypt, this was absolutely necessary for her and a regular part of her beauty routine. Mix the three ingredients together in a small bowl. Apply the mask all over the face and neck. Leave the mask on for 15 minutes. Remove the mask with lukewarm water. Pat gently access water with a tissue. Recommended once a week.